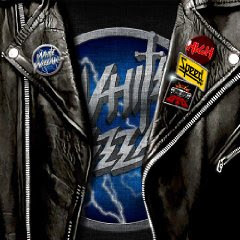 Hall of the Mountain King: Review: White Wizzard, "High Speed GTO"
I feel a little like I’ve stepped into a time machine on hearing the title track from White Wizzard’s High Speed GTO. It’s a song that’s uncompromisingly and unabashedly devoted to the NWOBHM era — in composition, in execution and in production. It’s upbeat with catchy riffs and a huge chorus and makes a solid promise for the rest of the album. The other six tunes on the record, however, are a mixed bag. While there are some very appealing things and a certain nostalgic charm to the music, White Wizzard often gets just as much wrong as it gets right – sometimes in the same song. The second track, “Celestina” has the bouncy grooves of something from Iron Maiden’s debut or Killers, but the love song lyrics are pulled straight from the hair band era, a sound they return to for the forgettable “Octane Gypsy.” “Into the Night” has the forced traditional metal sounds of Avenged Sevenfold, and is the weakest link among the other tracks which show a genuine connection to the genre. “March of the Skeletons” opens with a cool galloping bass line a la Steve Harris, but the chorus is too bubble gummy for an otherwise darker song. Of the seven tracks here, “Megalodon” is far and away the best. Like most of the songs, it’s in a NWOBHM vein with some more Harris-style bass work. It’s also on this song where vocalist Wyatt “Screamin’ Demon” Anderson turns in his best performance (overlooking the ill-advised “Immigrant Song”-style yowls under the chorus). “Red Desert Skies” has a lot going for it as well with some cool lead guitar melodies and riffing that cancels out the strange gibberish chorus that does more to interrupt the flow of the song than aid it. Bassist Jon Leon seems to be the backbone of the band, turning in the most solid performance on the record and providing a sound base for the songs. Anderson is a capable singer, but his nickname couldn’t be more inappropriate as there’s absolutely nothing demonic about his vocals at all. Quite the opposite in fact, as he often wanders off into a pop delivery that detracts from the NWOBHM feel of the songs. Most of the songs here need a good bit more oomph in the vocal department than they get. On a non-musical note, I have to admit that the lifelong fantasy fan and career editor in me also balks a little at the name of the band. I’m just going to assume the misspelling is an homage to Terry Pratchett’s Discworld and leave it at that (please don’t correct me if I’m wrong). On the other hand, I kind of dig the funky, retro cover with the leather jacket and the old-school pins and T-shirt. 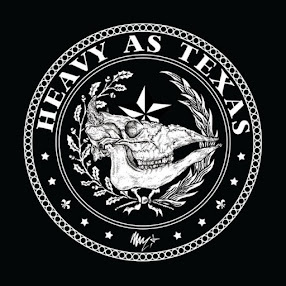 Originally recorded in 2007 with a different lineup, High Speed GTO marks the band’s debut on Earache Records, with, I’m assuming, some new material probably coming soon. It will be interesting to hear what the new members bring to the table and what kind of transformation the band has gone through in the last couple of years. There’s a lot of promise for some good retro metal here, but this EP doesn’t really deliver on it. If they can put together an album full of songs as good as the title track or “Megalodon,” though, I’ll be the first in line for the T-shirt (even if I have to whack my internal editor over the head).